Everyone who has been on this site for more than a short time is aware of Susan Mars and her wonderful embroidery blanks from AllAboutBlanks. When I asked her to do a blog about her, she modestly said it would not be very interesting. How wrong she was!!! I hope you enjoy this as much as I did. I laughed and felt like we were having a cup of coffee on her porch. Thanks Susan, here is to many more years of love and laughter! 1. Your profile at the bottom of your blog shows that your hubby got you an embroidery machine in the late 1990's. WOW, that seems like a long time ago now! What do you suppose possessed him to do that? Do you have a clone of him? The story of how I ended up with an embroidery machine is probably one-of-a-kind. I grew up with a mother and two grandmothers who always sewed and quilted. Very crafty people who taught me the basics. I was sewing on a hand-me-down Kenmore from my husband's grandmother and doing just fine. I was just beginning to teach myself to piece quilts and was doing a lot of home-decorating projects. I mentioned to him casually one day that a lot of what I do on the sewing machine would probably be easier if I had a newer sewing machine, because there were probably features built in that would make it easier. At this point, I had not been to any sewing machine dealer---was just sort of thinking out loud. Fast forward a few months and my husband (who is in the computer support business) got called to jury duty in our county. He just happened to end up on the same jury as the owner of Atlanta Sewing Center, a local Bernina & Baby Lock dealer. They got to chatting, and my husband ended up being hired by Atlanta Sewing Center to do some computer work. He then found himself being completely impressed with these sewing machines and that Christmas he bought me my first Bernina! My first machine was not an embroidery machine, but it was only about 6 months later that I ended up trading up to the embroidery one. And I was in love! It's been a hobby that I have never lost interest in. 2. Also in that profile you mention your first 'gig' as a salesperson with blanks. You note that you could not get your product out fast enough, the ladies were so delighted with the items. What did you carry at that time? 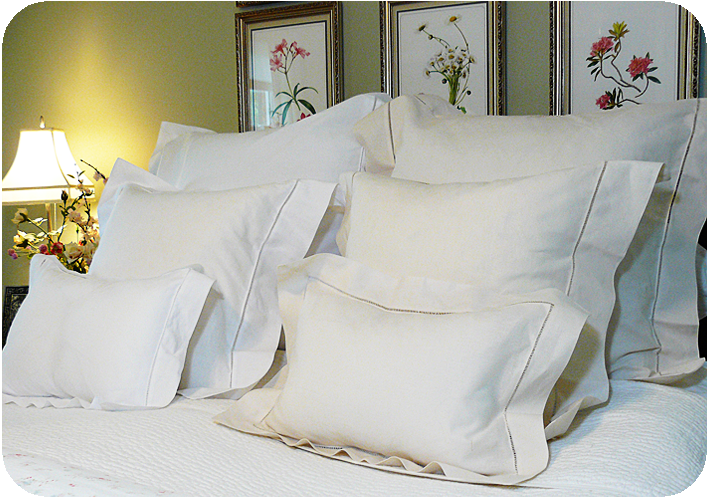 When we first started, we focused on pretty linen items such as guest towels, pillows, table linens---all that sort of pretty stuff. Being in the South, that kind of merchandise had always been familiar to me. And it seemed that others liked it too. Of course I had never sold my merchandise before so I had no clue as far as systems, etc. I wrote each order out on a paper sales receipt and had my calculator to add things up. Prior to that, my corporate career had been in a retail buying office for a major department store in the Atlanta area---I've always said that I was born and bred to be a merchant-somehow buying and selling pretty things. It's my comfort zone and what excites me. So when I realized that other people who embroidered were looking for pretty things to monogram, just like I was---it was exciting, natural, and challenging---all at one time! It was one of those turning moments in life---a happy one. 3. What is YOUR favorite thing that you carry and why? I always love handkerchiefs. Usually they are being embroidered especially for a new bride, her mother and her new, extended family. I can appreciate the love that goes into making that hankie special and what it will mean to the bride years after her special day. How many of us have a few hankies tucked away in a drawer that belonged to a special family member---it makes me happy to think that 50 years down the road, one of our hankies will be tucked into someone's drawer. 4. What was the dumbest thing you attempted to sell on your site and what did you end up doing with that item? This one makes me laugh. I once bought these ADORABLE stuffed animals that are filled with wheat and lavender. They are meant to be heated and then your child can snuggle up with them at night. They are NOT embroiderable at all, but I was struck by how sweet they were and thought they would be a nice "extra" item a person could purchase if they were shopping with us for a baby gift. The problem is they are very heavy from the buckwheat and lavender fill, which made shipping an issue. And to top it all off, they have to be heated up in a microwave. Do you know how creepy it is to have a stuffed penguin, cat, or puppy spinning around the tray in your microwave?!? We actually never sold a single one through the website and they are still sitting in a box in our back room. It's a shame, because the product itself is not a bad product---it was just a TERRIBLE fit for our product line. We each have one that we use when we have an achy back or neck---so if you time it just right, you can walk in and see one of us with a fluffy stuffed penguin sitting on our shoulder!! LOL Maybe eventually I will give them all away as gifts to friends, but it's still creepy having it spin around in your microwave. 5. If you had one thing to say to an aspiring entrepreneur, what would it be? Don't try to do everything yourself. Maybe you feel like you have to do so in the beginning, but at some point in the game, it becomes counterproductive. Follow your gut when you feel like you should be hiring someone to do the things you are procrastinating doing---spend your energies on the things that keep the business growing and headed in the right direction. DELEGATE, DELEGATE, DELEGATE. There were too many things I let slide because I kept insisting to myself that I should be able to do it all myself---guess what. Turns out I'm not Wonder Woman after all! 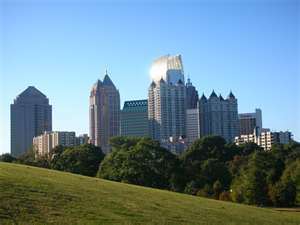 I ended up in Atlanta because my boyfriend (now husband) went to school at Georgia Tech. When I finished school (before him, I might add!) I moved to Atlanta to wait for him to finish. I found a career here and we have been here since 1992! I don't see us moving anytime soon. We're too spoiled here---we've got everything in the world within driving distance. 7. Tell us about your own family. I am married with a four year old son. Anyone have any advice about enforcing bedtimes!?! ARGH! He is a wonderful, sweet and loving child---who refuses to go to sleep! 8. Tell us something fun/interesting about you that no one else knows. . . . . 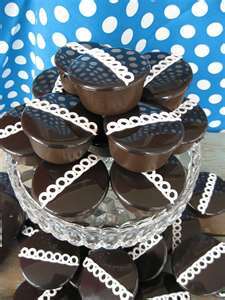 I have a love/hate relationship with Hostess Chocolate Cupcakes. 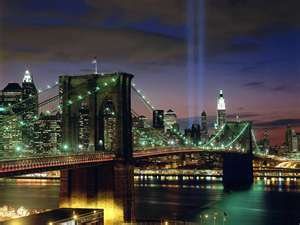 And I think everyone should try to visit New York City at least once in their lifetime. WOW, that is so familiar to me. We have a lot in common. I feel like people everywhere are enjoying the same things, just at a different address. My guilty pleasure is doing crosswords, Sudoku and other word games. I have ink marks (of course we who do these puzzles always do them in ink) all over my sheets because my favorite time to do them is just before sleep. Well, readers, it is time to confess - - - What is your guilty pleasure? It does not have to be about embroidery, just something that is your delight. I love doing Sudoku also, and feel guilty when I'm doing them because I want to be sewing and embroidering. Then I feel guilty because I'm closed up in my sewing room and not spending more time in the garden or with my husband. Then I feel guilty if I plant too many flowers and have to tend to them because then I cant' be sewing. So I just go around in circles... enjoying the winter, when I can't be in the yard. And trying to enjoy each of the other pleasures in the spring, summer and fall. But it's still fun to keep all of these balls juggling. As for Susan Mars' 4 yr. old and bed time. I used to let my children read a book quietly in bed, with a lamp (rather than an overhead light), until they fell asleep. That kept them in bed and quiet. I agree about the book reading, my daughter has an autistic son and she starts with 'clean up time' then goes to bathing and then to a book. Autistic children must have a routine, this one, for any child, has a stair step method of relaxing. I've been amazed at how many people have sent me tips on getting my Jake to fall asleep at night. Cathy's advice is good---we ended up taking the light bulbs out of his big overhead celing light last week. All he has now is the reading night light in the corner by his bed. That helped tremendously. He used to get up and turn his light on and continue playing. I can tell he's using his reading lamp to read through his pile of books and play a little bit, but having it darker is definitely helping. And no more knock-down drag-outs about the ceiling light!! I enjoy hearing all input of issues we all have. Susan is not only a great mother, but I forgot to add the information about her charity work as well. Perhaps she will give us some info on an upcoming blog. In the meantime, I hope each of us takes some time in our busy lives to support the charity that is dear to us. As you may know, my grandson is autistic and is it so difficult to watch him and my daughters family go through this terrible situation.